The French Farmhouse Rustic Solid Oak Dresser is a stately piece, crafted from the highest grade solid oak timbers, which are specially selected for their superior grain patterns. 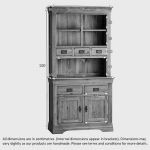 The bottom half of the dresser offers heaps of storage space for your dinnerware, with a conjoined cupboard area and two drawers. 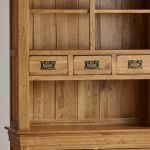 Each drawer is solidly put together using resilient dovetail joints and solid oak backs, bases, and runners. 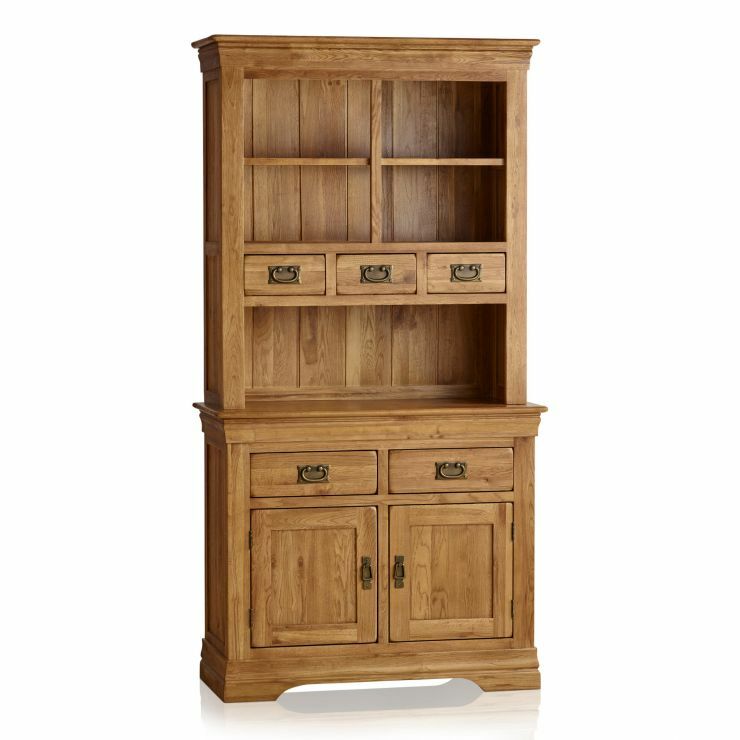 The top section of the dresser is designed for displaying prized china, ornaments, glasses, and more. 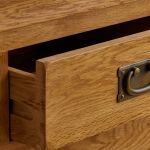 It also features three smaller dovetail drawers, perfect for tidying away various knick knacks. 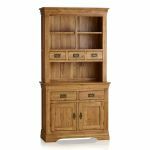 Quality design features include elegantly flared cornices, softly rounded edges and antiqued metal handles. 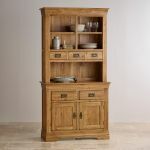 Ideal in the dining room, lounge or kitchen, this solid oak dresser is made to last and represents the ideal combination of style, practicality, and durability.